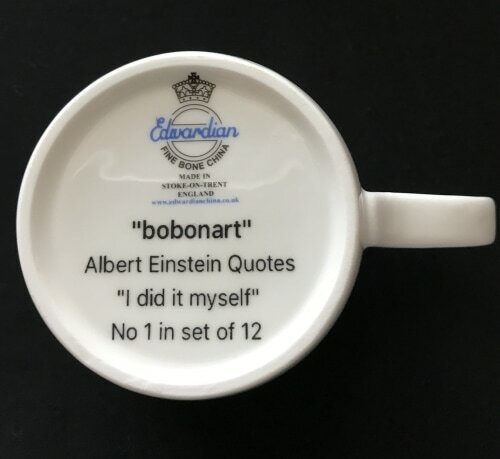 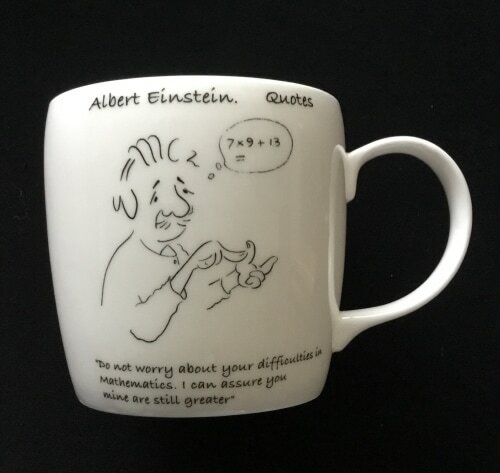 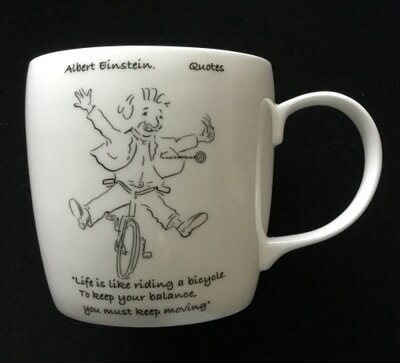 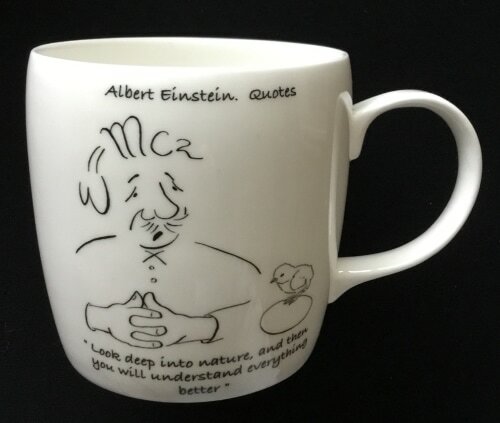 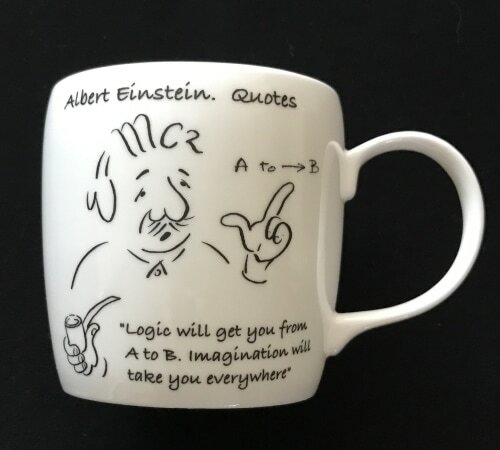 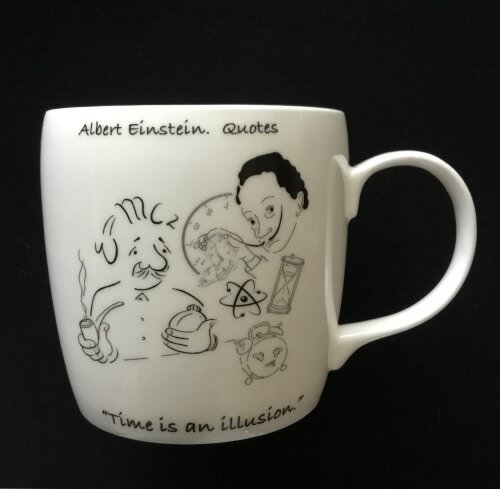 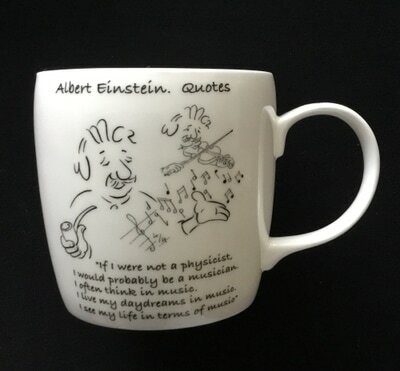 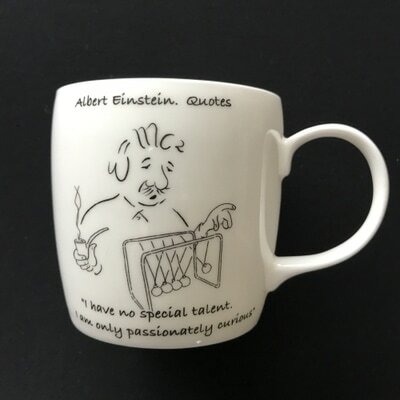 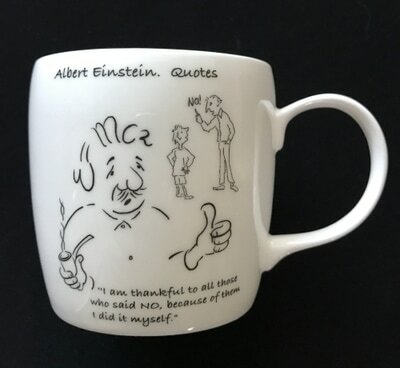 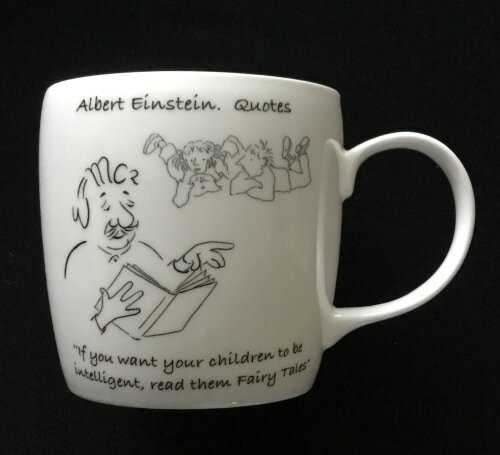 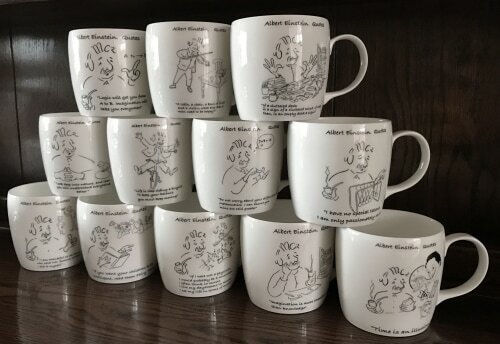 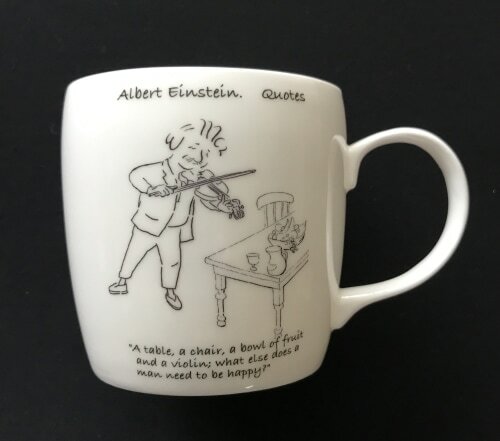 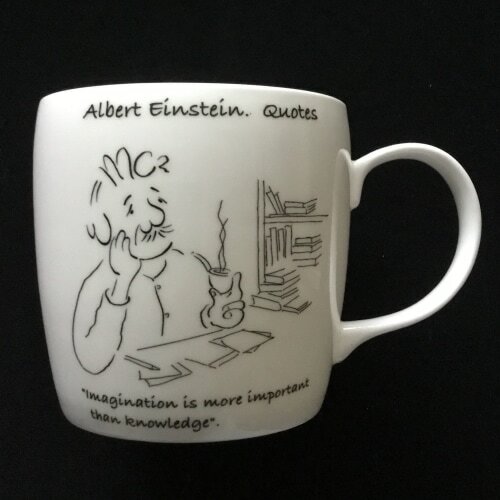 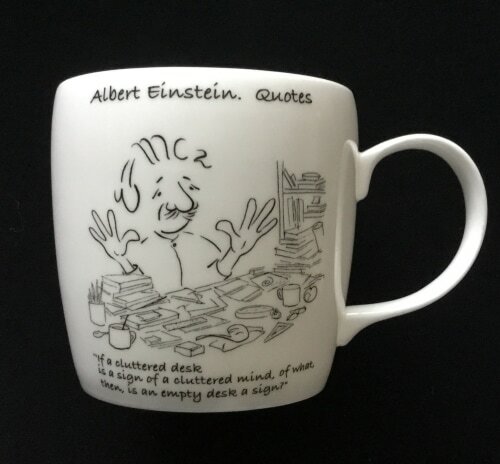 A selection of twelve of the most popular Einstein Quotations, together with Einstein illustrations created by Robert Lewis Booth from "bobonart" have been kiln fired onto English made fine bone white China mugs by Edwards & Lockett pottery factory of Stoke-on-Trent. England. manufacturers of pottery in the world.